How do you sum up a Stray Kids song? 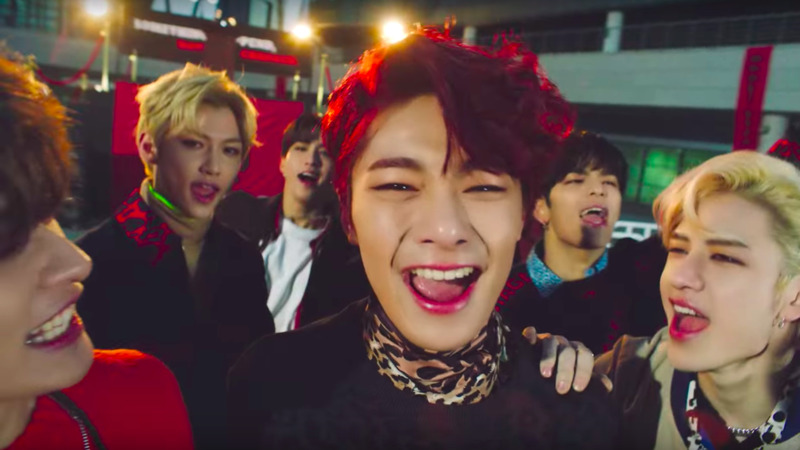 The JYP Entertainment rookies have been (self-) producing some of the boldest, most sonically interesting K-pop tracks since their debut a year ago, and their latest, “MIROH,” is no exception. (In fact, it might be their most fascinating lead single yet.) Their signature sound is more of a mood; it’s loud and in your face — boisterous, even — but it’s one that’s fitting for a group of nine individuals on the cusp of adulthood in an ever-uncertain world. That, you could say, is the concept of “MIROH.” Inspired by the word miro, or “maze” in Korean, “MIROH” is the beginning of a new chapter for Stray Kids. Their previous I Am… series focused heavily on the theme of identity. Who am I? Am I you? And most importantly: Who am I trying to be? With their new mini album, Clé 1: MIROH (out now), it’s clear that these coming-of-age questions are still at the forefront of their minds — but they’re now more confident than ever. Stray Kids are maturing in every sense of the word. Their sound is more refined, yet still exciting. “MIROH” — produced by members Bang Chan, Han, and Changbin, otherwise known as 3racha — is a cacophony of sounds, rhythms, chants, and animal noises. The hook is massive, a perfect stadium-sized banger of a track. But perhaps its most unique quality is that it doesn’t follow any sort of familiar structure. There’s no bridge, or breakdown; it’s a relentless 3 minutes and 28 seconds that showcases the group’s impressive rap line and explosive choreography. “MIROH” is a celebration, yes, but it’s also a warning call. The powerful choreography was heavily influenced by Haka, the ceremonial dance of the Māori culture. It’s typically done as a challenge to opponents. Overall, everything about “MIROH” is big — the hook, the choreography, the concept — but it never feels empty. That’s a real strength for Stray Kids. They make music that matters to them, and in doing so, they connect with an audience, many of whom are also navigating their own mazes and facing their own anxieties at every turn. When it comes to Stray Kids, every new release is an evolution — and much like growing up, wildly unpredictable. Previous articleEuro 2020 qualifying: Wales v Slovakia – can hosts start with win?